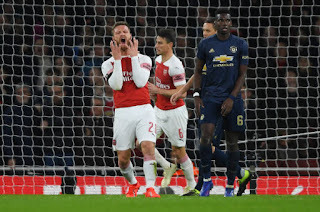 Arsenal have informed Shkodran Mustafi that his services will no longer be needed after this season, meaning he will be sold during the next transfer period. The Gunners in a bid to build a title-contending side ahead of the coming campaign are believed to be planning a massive clear out of the dead woods so as to free funds for new signings. The German international since joining the club for a fee of £36 million in 2016 has not lived up to expectations and this has raised a lot of questions from supporters who are of the view that he is not fit to play for them. Mustafi earns £90 000 per week at Arsenal which is a figure that is big enough to spend on wages of a better player in future. His sale should also be able to raise around £20 million to be added to the meagre amount claimed to have been set aside for player purchase. It is understood that the defender has asked his agent to begin the search for a Spanish, Italian or German club he will move to when he eventually bows out of the Emirates Stadium. Italian site, Calciomercato, stated that Juventus are eyeing a move for Mustafi who they want as a replacement for Medhi Benatia. Funny enough, the latter is a target for Arsenal as well. Other players who could also be thrown out by May are Stephan Lichtsteiner, Danny Welbeck, Mohamed Elneny and Mesut Ozil.